The second part can be found here. The common Errata page contains any corrections to original articles. 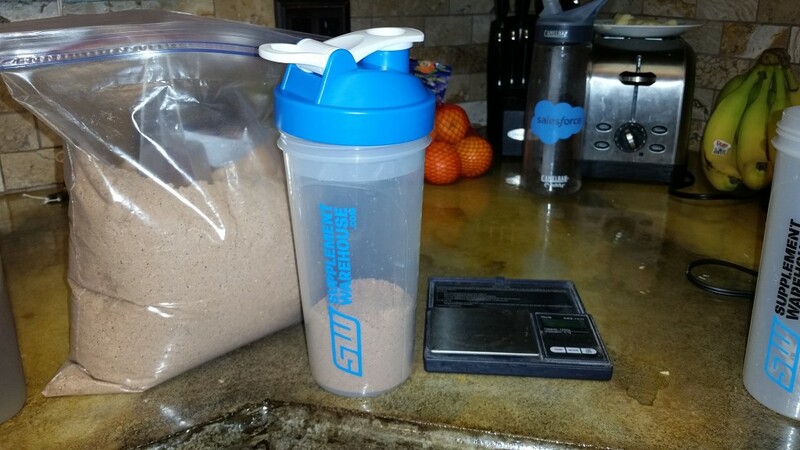 Probably the newest addition to the family of Soylent-like foods (launched only in December 2014), KetoSoy by Ted from the U.S. has its goal set right in its name: it’s a tool to achieve ketosis. Ketosis is a metabolic state in which your body uses fat for fuel, instead of carbs – which can help you manage your weight and control your blood sugar. This is achieved by eating as little carbs as possible, which can indeed prove difficult to achieve in a normal diet. 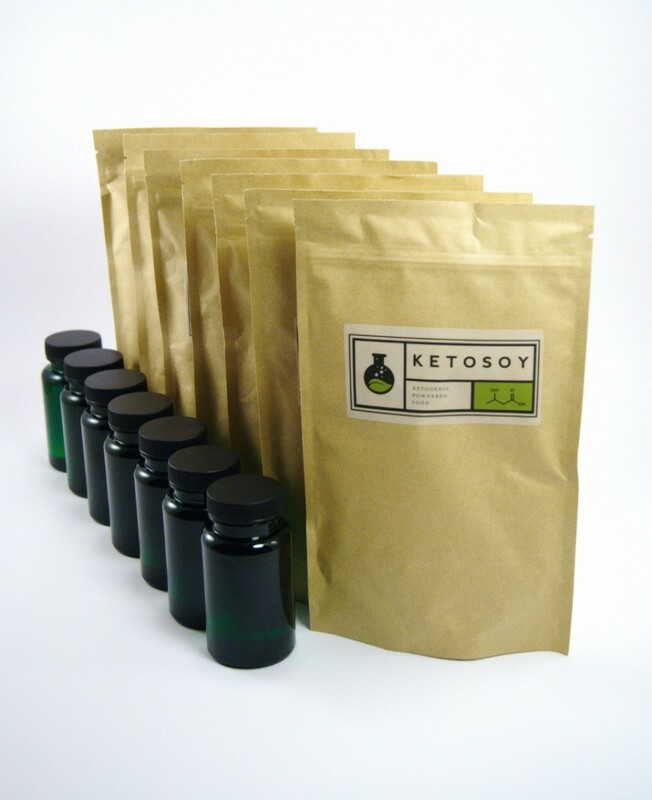 KetoSoy aims to ease this process for you by selling a mixture containing only 21 grams of net carbs per day, while “classic” diets easily contain more then 200g of cabs per day. Ted himself is on a ketogenic diet which inspired him to create this product. who is in the team? Is there any food technologist or dietary expert? This one comes directly from the other side of the world. 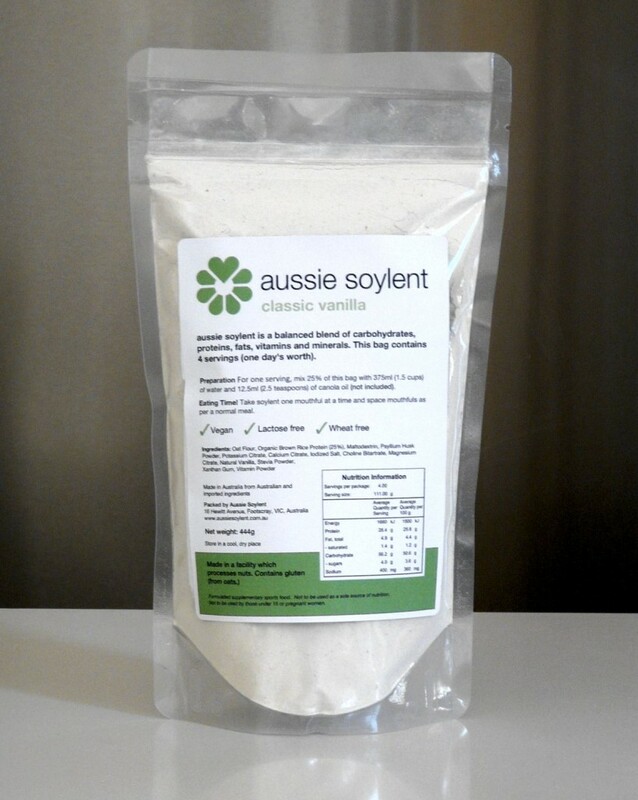 Yep, you guessed it – it’s an Australian alternative to Soylent! 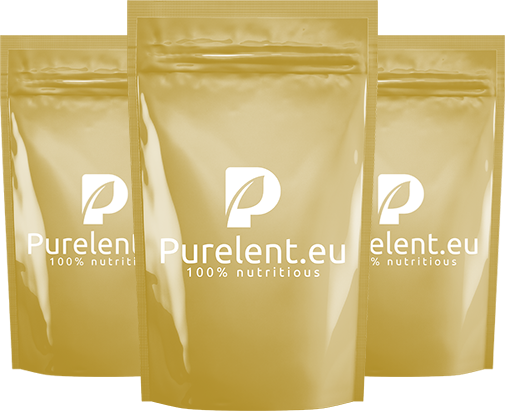 You can choose from three versions – “classic vanilla”, “premium” and “chocolate”, and all of them are the normal 2000kcal-per-day meals. They use 4 servings per day (like e.g. Ambronite and People Chow) instead of “classic” 3 meals, as they believe that people prefer to have 1/4 of their daily intake for their breakfast, 1/4 for the lunch and 1/2 for their dinner. Straight from Florida, US hails a producer with monicker “Uber”, selling his enhanced version of People Chow titled Uber Chow on the Powdered Food Marketplace. Uber Chow is supposed to be “oriented on health and longevity”, which should be achieved by addition of a few special supplements like Trehalose, Collagen, Glucosamine, MSM, Artichoke extract or Reservatrol (whatever all of that stuff means). He also sells these supplements separately, so that you can boost your own DIY recipe. But that isn’t all – he has also his own cookies up his sleeve, effectively creating a competition to MealSquares. Uber Cookies are again sold on the Powdered Foods Marketplace and supposedly contain enough excess of micronutrients to compensate for the baking process. You have to eat 8 of them to get the typical 2000 kcal. We hope Uber will continue doing his magic and comes up with a few other variants in the domain of calories, macronutrients of flavours. If you’ve read the part 1 of this overview, you already know the guy selling this stuff already appeared on our stage – that’s right, I’m talking about none other than Chris Bair, hailing from the USA. 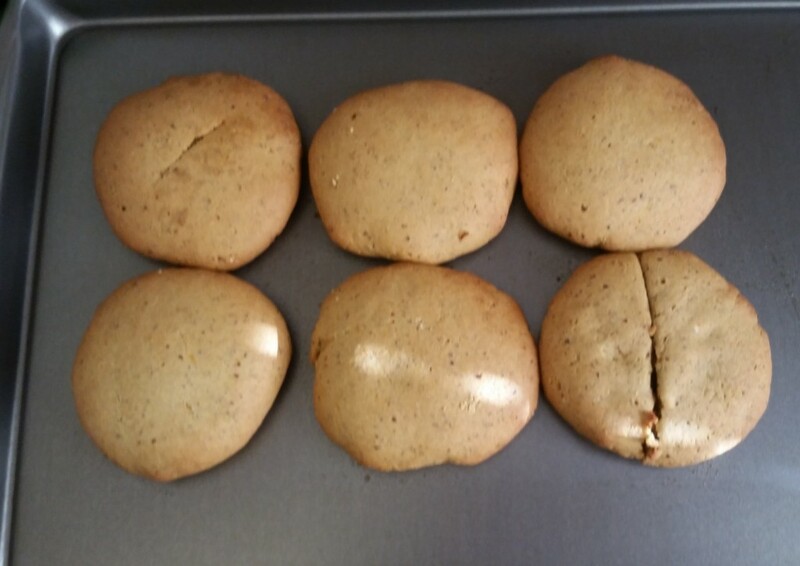 This recipe was originally created by a person known in the DIY Soylent community by his nickname “QuidNYC“, whose recipes currently occupate the second and the fith place amongst the five most popular DIY recipes (Ketofood being the latter). 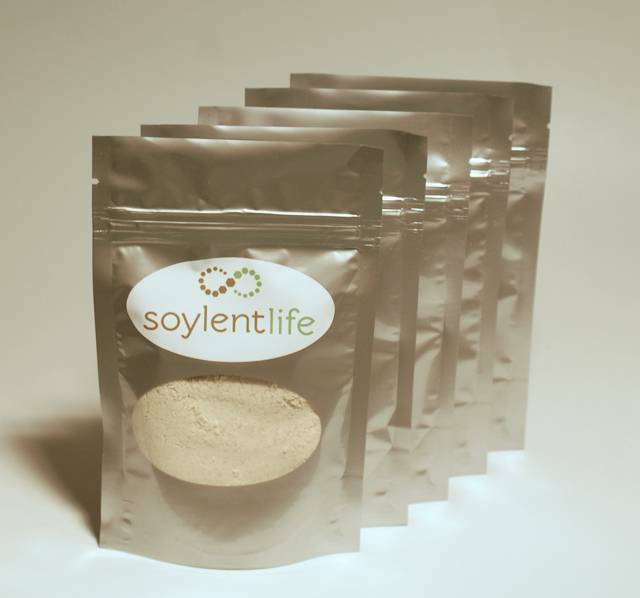 Containing only 19 grams of net carbs per day (and a LOT of fibre), this is probably the only Keto soylent you can buy nowadays – next to KetoSoy, of course. What was I saying about the Netherlands becoming the European soylent superpower? That’s right, Purelent is Dutch. Looks like this one’s pretty recent, too, as the page changed a few times throughout my visits. One interesting thing to mention is that originally, their FAQ section copied the FAQ section of Queal almost to the letter. We asked Queal about this directly, suspecting this might be another Queal project, but they were as surprised and confounded to discover this as we were. By the way, when I first examined their website, I stumbled upon the name “Amealzing” in several places – looks like some renaming took place here. It also looks that Queal is not the only distro that Purelent “borrowed” stuff from. Edit: A few months after, we got contacted by Purelent commenting on these issues. They say the FAQ and nutrition facts were copied from other distros just for the development version of the website, which was public back then by mistake, which they regret. well, I gotta ask: is this just a scam or a very clumsy way of kickstarting your business by copying others? Have anyone actually received any product from this producer? Edit: apparently, it seems the latter is the case and Purelent is real. The version of the website we found back then probably wasn’t meant to kickstart the product. Any reference to or likeness with other food with ‘soy’ or ‘life’ in the name is pure coincidence and it is not our intention to create this association. So, that about wraps it up for today. We would never have imagined that another 6 alternatives will come to our attention so quickly, thus I’m not going to say that “this is it, end of the series”. Once we’ll find 6 distros again, there will be part 4. Feel free to send us feedback, comments and tips for distros we haven’t covered yet. May this winter’s snow be powdery! Disclaimer: if you have found any incorrect information or you have additional notes to text or images, or you have specific copyright claims on the images used in this article, please feel free to contact us. If you are the producer or the distributor of one of these products and want us to review your product more closely, feel free to contact us too.